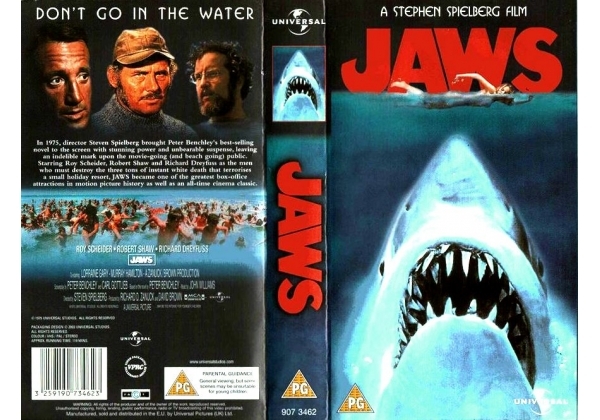 VHS cover has Steven Spielberg's first part of his name spelt Stephen, not Steven. An error rectified on future VHS releases. Or find "Jaws" on VHS and DVD / BluRay at Amazon.